I visited Legoland California in Carlsbad a couple weeks ago. It’s an intriguing place, where everyone’s favorite miniature building blocks are put to some amazing uses. 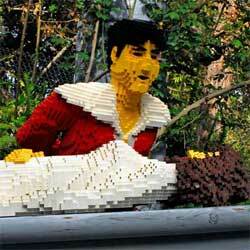 One feature of the park is fairy-tale boat ride, where some notable folk tales are brought to life by Lego blocks. The Sleeping Beauty display warrants particular attention, because Prince Charming here bears a striking resemblance to Nine Inch Nails frontman Trent Reznor. Incidentally, as I write this, I’m listening to NIN’s forthcoming Halo 24: Year Zero, which you can do at yearzero.nin.com. According to Trent, Year Zero is more than an album and the “stunts” are more than mere marketing. The concept is that we, the audience, are participating in Year Zero, helping to reveal and write a dystopian, alternate-reality story in real-time. The album is just part of the mix. The level of detail and planning that has gone into the whole project is simply astounding. And this music’s not bad either; it’s some of Trent’s more pointed work. You bet I’ll be buying it on the 17th. 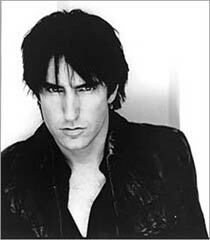 You can catch up on background and track the developing story at the Nine Inch Nails wiki. Start with notes on the album itself. < a>, for instant gratification. , for the full experience.